So began the discovery of the health benefits of oily fish. the most wide-ranging beneficial effects on our health. 3 fatty acids. The ration of omega-6 to omega-3 was 1:1.
according to a 2012 study from a research team led by Dr.
such as kidney and liver disease. decline and other debilitating conditions. Here is a snapshot of the known benefits of fish oil. suffered heart attacks or have developed heart disease. acid (EPA) and docosahexaenoic acid (DHA)"
helpful in combating rheumatoid arthritis and osteoporosis. (NSAIDs) to reduce their dosage or discontinue use. trout, mackerel, tuna, sardines and herring." LR11 so the disease's development is retarded or prevented. your brain throughout your life. 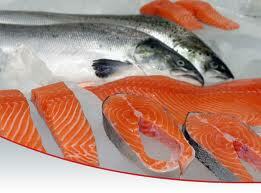 omega-3 fatty acids are a natural remedy for migraines. longer and better for it! acids has been found effective in reducing dry eyes by 68%. such as fish versus obtaining omega-3 in supplement form. most other studies in this area. your rick for heart problems. help as much as you like. Related: Is Krill Oil Even Better Than Fish Oil? Experts recommend eating fish twice a week. How often do you eat fish?